The procedures, tools, and detergents utilized to clean driveway are different and based on its type. The driveway can be concrete, resin bound, cement, and asphalt among others. You must remain safe regardless of the type of driveway, and the amount of stains that you are trying to clean. This means that the detergents must be selected based on their safety; they must not contain harmful or harsh chemicals. The main idea behind the driveway wash is to eliminate dirt, stains, and debris rather than to damage it. The procedures used must, therefore, be chosen carefully. It is imperative that you understand the type of dirt you are dealing with to determine the right way forward. Does your driveway have significant amount of motor oil spills? Are there any sticks, rocks, and leaves on the surface? Has the driveway been discoloured? As you answer these questions, you will come up with a perfect plan on how to clean your driveway. A cleaning brush. It must be rough enough to scrub the dirt away. Detergents and household or chemical stain removers. The supplies must be made to help eliminate all the stubborn stains from your driveway. Buckets of water or a horse pipe. You must have sufficient amount of water for the cleaning. Note that you don’t have to spend a lot of money buying the supplies. You can use the same detergents that you utilize to clean other surfaces. Eliminate loose materials such as dirt and stone from the driveway. This ascertains that the debris or dust does not fly all over the place as you clean the driveway. Apply degreasers or baking soda to the stain and allow it to stay there for a few hours before cleaning. Determine the right pressure for the driveway. You are give two options namely; low and high pressure. Always set the pressure based on the stubbornness of the stains and the type of driveway. Apply the appropriate cleaning detergent to the surface. There are specific detergents designed to be used in pressure washing. Use the pressure washer to clean the driveway. You must rinse off the detergent completely for the best results. It can remove the mortar on your brick driveway. This is one of the reasons why you may want to clean driveway without pressure washer because the method can leave the area in ruins. All the money that you spent building it will eventually go down the drain. You must be aware of the best combination of detergents and chemicals for the ideal results. If you are inexperienced in the area, you will end up wasting a lot of time and resources. The pressure cleaning can cause bodily harm if not handled properly. The pressure washing machine is costly. You may have to part with a lot of money to hire or buy the equipment. 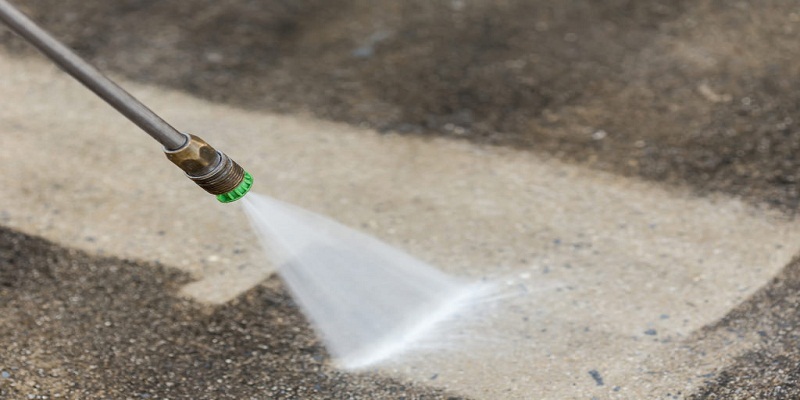 You may want to consider cleaning a driveway without a pressure washer by using household products. This involves the use of products such as baking soda, cola, cornmeal, and cat litter to remove the stains. This requires you to apply the products and allow them to sit for a few hours in the area. Henceforth, use a stiff brush to scrub the driveway and rinse it thoroughly. More so, chemicals are worth trying when you are thinking on how to clean concrete driveway without a pressure washer. You can use enzymatic cleaners that remove stubborn stains without requiring you to do a lot of scrubbing. All you need is to read the instructions on how to apply them to the stain. Still, you can make poultice as you try to find a way on how to clean cement patio without pressure washer. Here, you are required to mix an absorbent material with a solvent. You must then spread the mixture over the stain for one day. The most common types of stains on the driveway are oil, antifreeze and tire mark stains. While advising you on the easy way to clean concrete driveway, the professional cleaners will tell you that it is vital to remove the stains immediately as opposed to waiting for the once-in-a-while cleaning day. Even so, you can still remove old stains when you follow the right procedures. Degreasers will easily remove oil and antifreeze stains. You made need to make several attempts before the stains are completely removed. In regards to doing away with marks left by hot tires, the cleaning experts advising you on how to clean block paving without a pressure washer will tell you to look for a solvent or chemical stripper to remove the sealer. This is because the marks are mainly found in driveways with sealants. Moreover, it is critical to find ways of eliminating stains of unknown origin when trying to find the ideal way on how to clean the driveway cement. A driveway power washing may be necessarily in this case. 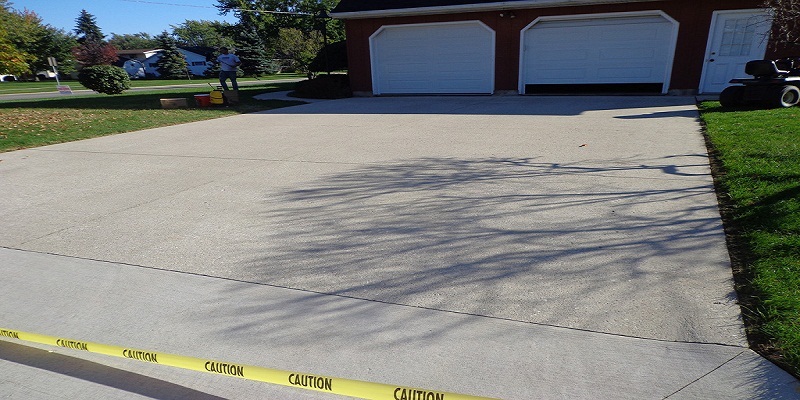 In some instances, a concrete driveway cleaner must be called upon to help identify the possible stain and solution. 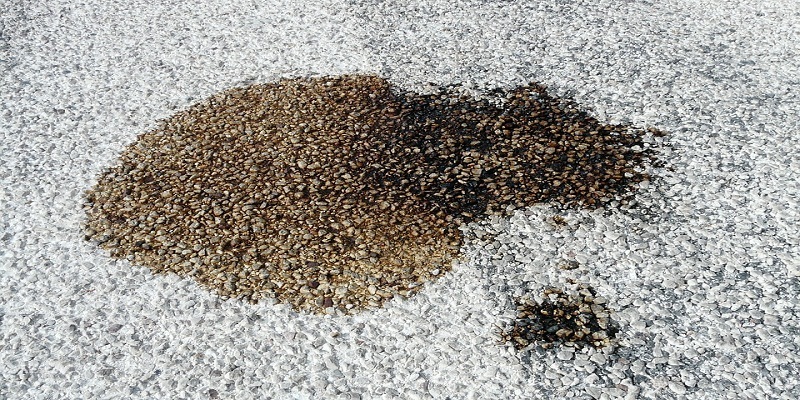 Note that you must be extremely careful when removing stains on asphalt driveways. Petroleum products tend to destroy the material and hence, you must avoid them at all costs. It is also worth noting the car oils and fluid that cause the stain are likely to damage the driveway as well. You may be required to do the repairs before or after the cleaning. Whereas it is not mandatory to seal or reseal a driveway after washing, the procedure helps you to prevent future damages. You must allow the area to dry completely before applying the sealant. It must be waterproof since the driveway is always exposed to humid conditions. Using a newspaper or sheets and other materials in places where you change car oils. Placing a dust bin where people can throw litter while in the exterior space. It is vital to go through a company’s profile and the reviews to determine if they are worth hiring. Reputable companies are well-known for their myriad of solutions on how to wash driveway. It is undeniable that there are many stains found in your driveway. Some of them are not easy to remove and thus, finding skilled and experienced is imperative. They will offer you the best solution to clean driveway regardless of the amount of dirt or the stubbornness of the stain. Note that experienced companies have the right equipment and training to handle the cleaning task. They can also refer you to professionals offering complementary services such as driveway building and repairing contractors. 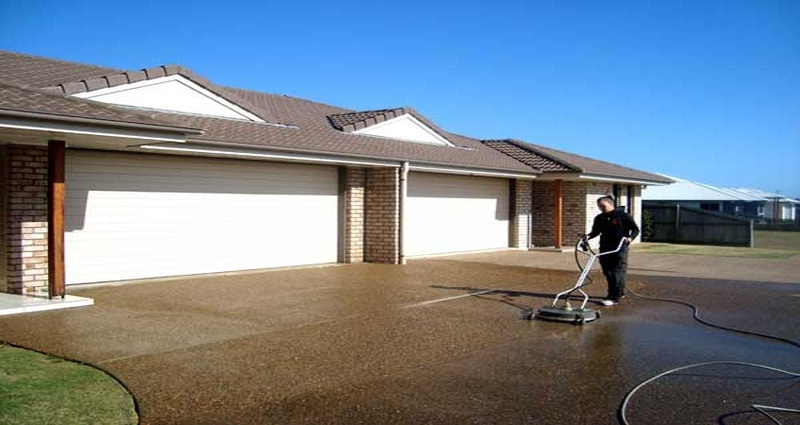 The best driveway cleaner is able to deliver quality services at a reasonable rate. Compare prices and find out if you can negotiate for a good rate. You may want to remain loyal to the company to get seasonal discounts. All in all, finding cleaning experts is an important step when making a decision on how to clean your driveway. Fortunately, you don’t have to search anymore! You can find experienced, reliable, skilled, friendly, affordable driveway Essex services at Complete Drives and Patios. Based in Essex, the company offers all the driveway-based solutions you need including design and maintenance at an affordable rate.